1976 Was the 200th celebration of the events which formed the United States of America. There were a lot of celebrations, parades, and other types of events. A number of firms capitalized on the celebration and created mementos of various types. 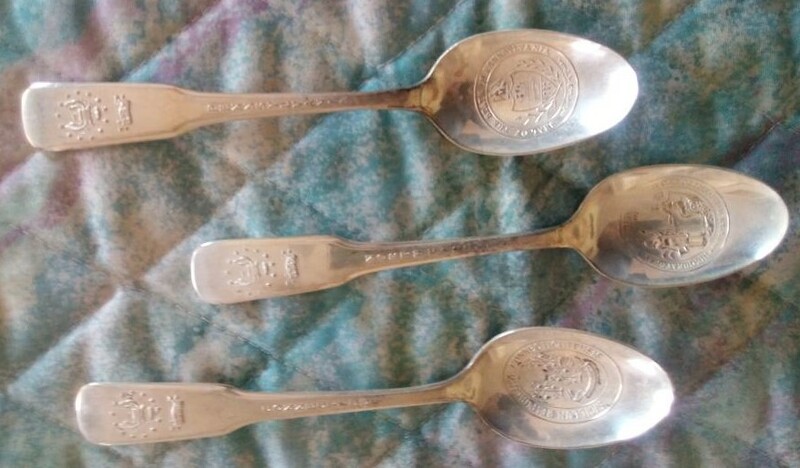 International Silver created this set of 13 spoons to honor each of the original colonies. 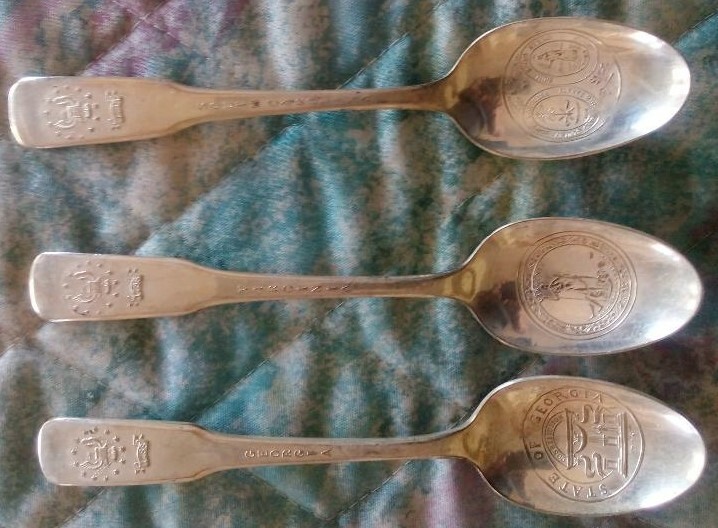 This set was donated to the Spoon Museum by the estate of William L. Skinner. 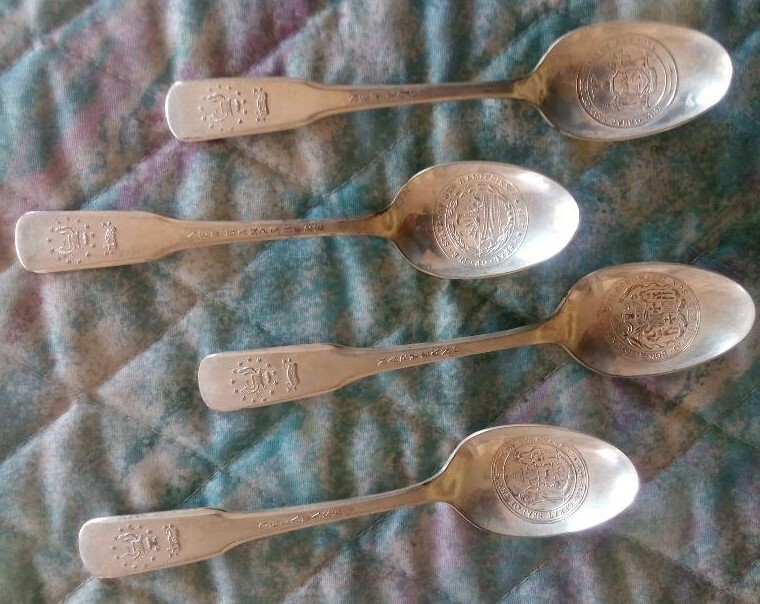 These spoons are silver plated and are readily available to collectors as a group of 13 or on an individual basis. They are not rare nor valuable, but they are interesting. The original documentation accompanies this set. The documentation is also commonly available for an added cost. 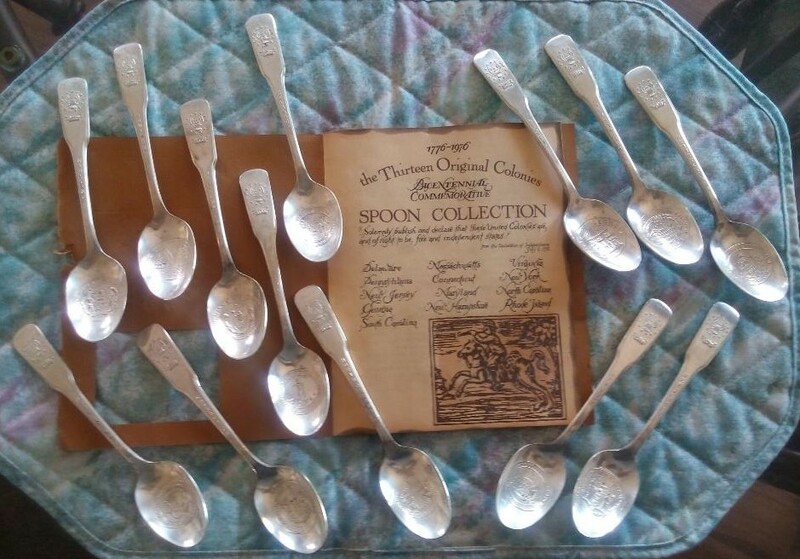 The thirteen spoons surrounding the original documentation booklet. 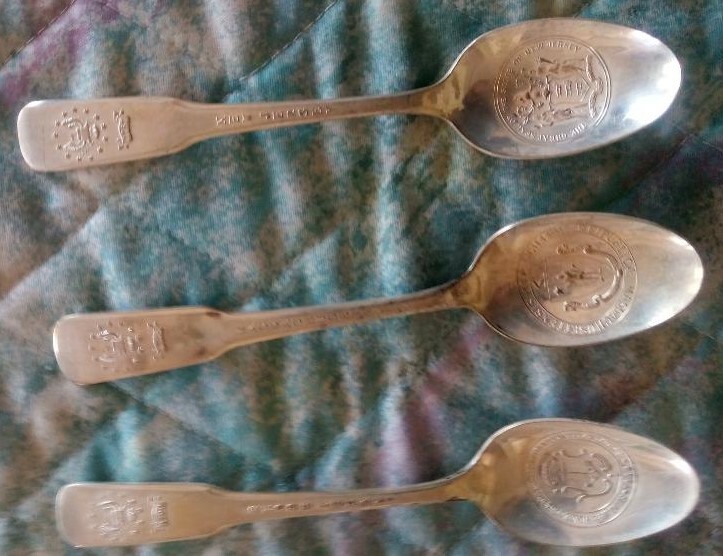 The other pages of the booklet describe each individual spoon. 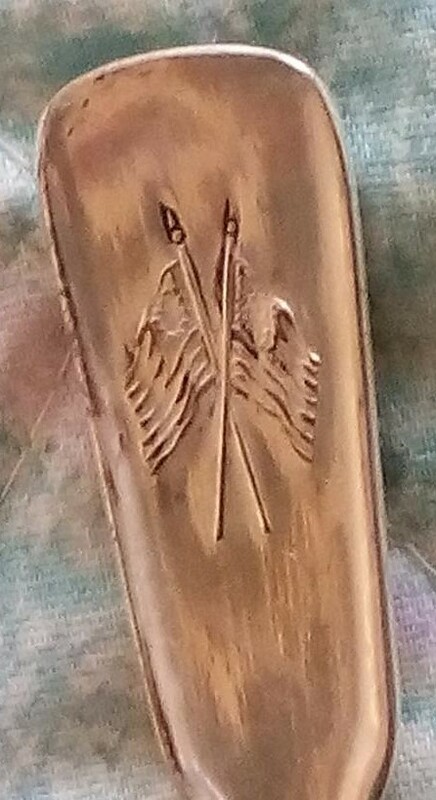 The fiddle back style of the handle is similar to that which would be found on silver spoons of the 1776 era. 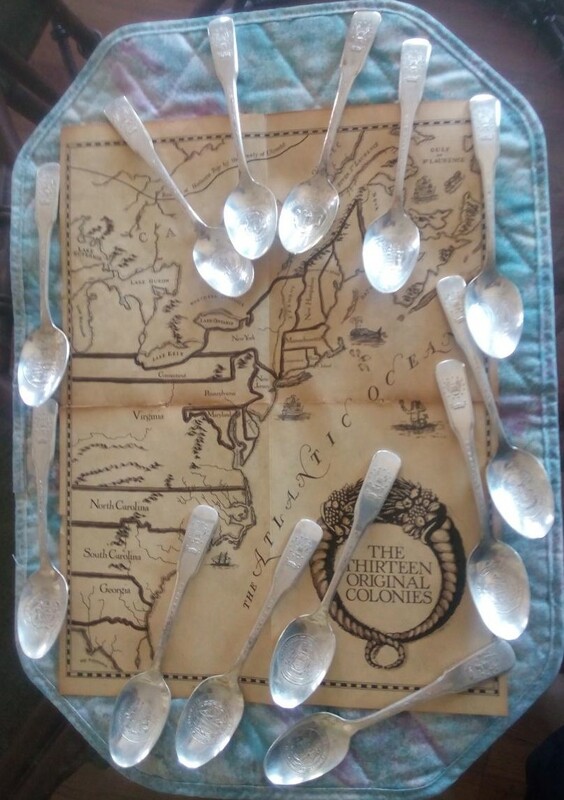 Map of the 13 colonies which accompanied the booklet.